The T-72A is a Rank VI Soviet medium tank with a battle rating of 9.3 (AB/RB/SB). It was introduced in Update 1.85 "Supersonic". Development of the T-72 began shortly after the production of the T-64 highlighted several problems which negatively impacted production rates. Among these problems was an unreliable engine, which couldn’t be produced at the high rates needed for a smooth production of the T-64 to take place. In response, the Uralvagonzavod plant began working on a modified version of the T-64, which would use a more reliable and readily available engine, in order to provide the army with a tank fit for mass-production. Apart from this, changes were also made to the armor layout, in order to simplify production and decrease costs. This work resulted in the creation of the Object 172. 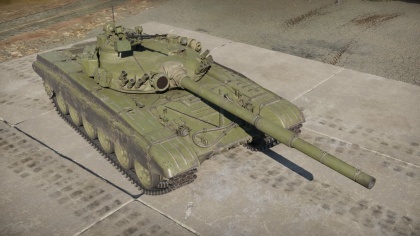 Development of the Object 172 continued, and after some trials, the vehicle entered service with the Soviet Army in August 1973, receiving its official designation T-72. Shortly afterwards, the vehicle was permitted for mass production, following the issuing of an official decree in 1974. The T-72 was also heavily exported to and produced by nations of the Warsaw Pact as well as other countries worldwide, although these vehicles received certain downgrades compared to native Soviet models. 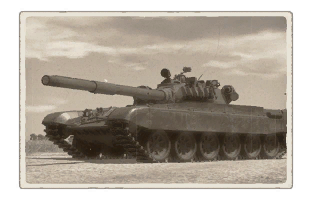 Despite this, the T-72 quickly became one of the most widely used tanks in the world, participating in more conflicts than a single devblog could ever cover. Since production began in 1974, over 20,000 T-72 tanks were built across several modifications in the Soviet Union/Russia alone, with production of more modern variants still ongoing today, even in other countries as well. This page was last edited on 3 March 2019, at 07:19.